Joseph Minahan, Professor of Theoretical Physics. 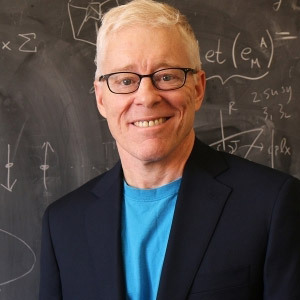 Joseph Minahan develops theories that describe the most fundamental interaction in nature, that between elementary particles. He works in string theory and quantum field theory. More specifically he uses theoretical tools such as integrability and localisation along with the assumption of supersymmetry. Doing so enables the theories to be simplified so that exact solutions can be found for the equations. These results can then be used to develop realistic theories describing our non-supersymmetric world. His early breakthrough in 2003 created a completely new research field, in which his research group is a leader. Joseph Minahan has made a strong contribution to giving Uppsala University a leading role in this fascinating field. 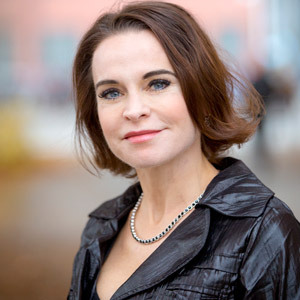 Maria Strömme, Professor of Nanotechnology. Maria Strömme has long been at the forefront of research in nanotechnology and functional materials and on how to apply them. She has built up and now heads an internationally leading research environment specialising in creating advanced materials for several life science and energy-related applications. Here the group places great emphasis on the environmental aspects of material synthesis. Strömme stands out particularly as a researcher and research manager on account of her ability to move effortlessly between basic research with its focus on fundamental principles and engineering science with its search for applications. This remarkable combination of creative abilities has resulted in scientific breakthroughs in several globally important areas of society, such as medicine and energy. Maria Strömme and her research group have made a strong contribution to Sweden’s continued standing as a leading knowledge nation in research in both engineering and natural science. The Björkén Prize is one of Uppsala University’s top scholarly awards for outstanding research. It was first awarded in 1902. The prize sum is around SEK 160,000 per recipient. The prize will be awarded at the Winter Conferment Ceremony in January.